This will be the first post of a couple about making stamps and using handmade stamps and objects to print on fabric. For some reason, once you add the words “on fabric” to any art technique, I am suddenly interested . 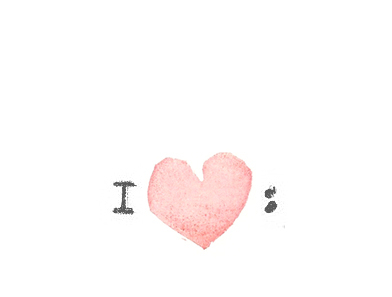 . . but of course you can also use hand carved stamps on paper, and even clay! My aunt Barb taught me to make stamps, she uses hers to make beautiful collage-type art, in her handmade books (where I found this design which she let me use in an earlier post), and in her pottery work. We talked about a feature of her art to go along with this how-to, but it’s a busy season for both of us, so we’ll save that to look forward to later. For today, how to carve a stamp! You will need a tool called a linoleum cutter (seen in the second picture), which you can get at most art stores, and some kind of block to carve. Lately I’ve used two kinds, pink stuff called “Speedy-Carve” from Speedball, which I got at the chain art and crap store here, and brown “Eco Karve Printing Plate” from Inovart (made of recycled material! ), which I ordered from Blick along with the paint. The pink kind is a little softer, slightly easier to carve, and much easier to see to see your pencil designs on because of the lighter color. It’s a little thin for bigger stamps, which can get floppy if you don’t attach them to anything. I liked carving and printing with the brown stuff, and it’s thicker, and easier to see what you have carved out than the pink, but it can be hard to see your transfer design on the darker surface. When I started making stamps we used a whitish carving block, which as far as I can tell from the scraps was also made by Speedball. It’s not my favorite, little bits of it can crumble away while you’re carving, where you’d rather they didn’t (you can kind of see this in the inside corners of the star stamp). In any case, you can probably find a material near you to try it out. Now that you have your materials, you need a design. 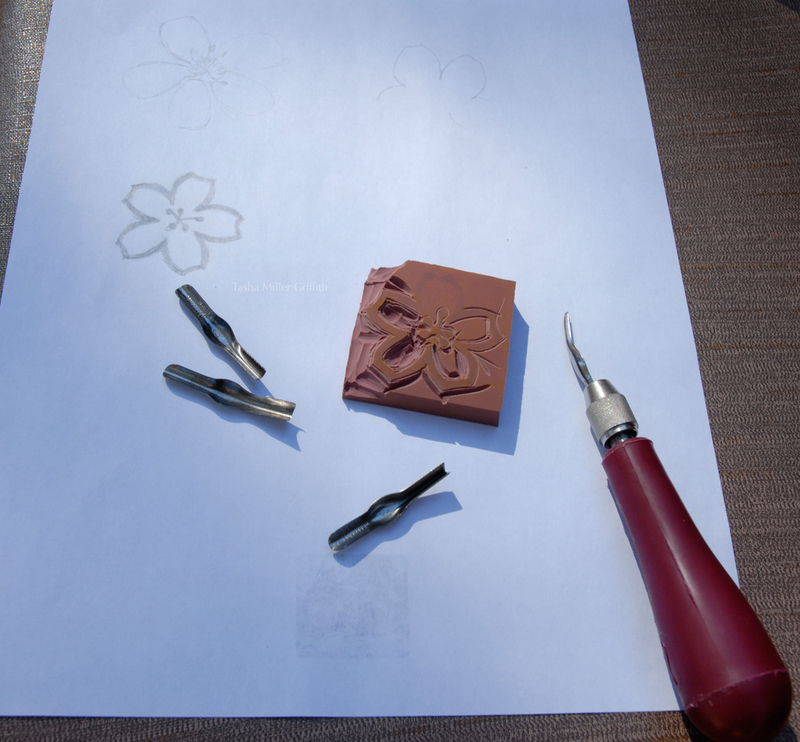 I have been into five-petaled flower designs lately, and I liked the artwork on the posters for the cherry blossom festival we saw in DC earlier this year, so I decided on a cherry blossom stamp. You can draw on the rubber carving stuff, but I find it easier to draw on paper and transfer the design. It’s easier to erase your mistakes or start over, and the design when you stamp it will be the same as you drew it, instead of a mirror image (because it’s flipped once when you transfer it and again when you stamp). It helps to use a soft pencil and make thick lines. You can get a fair amount of detail in your stamps, but don’t go crazy with fine lines for the first one you make! Once you have a design you like, flip the paper over onto the carving block, hold it still, and rub it with something hard and flattish, like a spoon or a bone folder, to transfer the design onto the rubber. You’ll get more out of your carving blocks if you place the design on a corner instead of right in the middle. Time to carve it out! I think it’s easier to cut out the section of rubber around your design with a razor knife before you carve it. The idea is to cut out everything that you don’t want to print, from around the design that you do. Loosen the head of the linoleum cutter and put the smallest carving tip (sharp side goes out – watch out, it’s sharp!) in the curved slot that opens on one side of the ball as you loosen. The previous sentence probably makes zero sense unless you are looking at the tool, but that’s Ok. Start carving; each one of the tips for this tool acts like a sharp scoop, use them point or scoop down to carve out pieces of rubber that you don’t want. I like to start with the smallest tip and go carefully around the edges of the design, it helps keep me from accidentally slicing through it with the bigger cutters. Cut away from inside corners to both sides. It’s helpful to turn the block, as well as the tool, while carving around curves. Once you get the design outlined, switch to the larger V shape tip, and use it to cut around your outlines, making a deeper channel. Then, use the scoop to carve out large sections that you don’t need. Cut away from your design at a steep slope on the edges of your stamp, to keep them from printing. Then go back with the smallest V tip and clean up any leftovers. 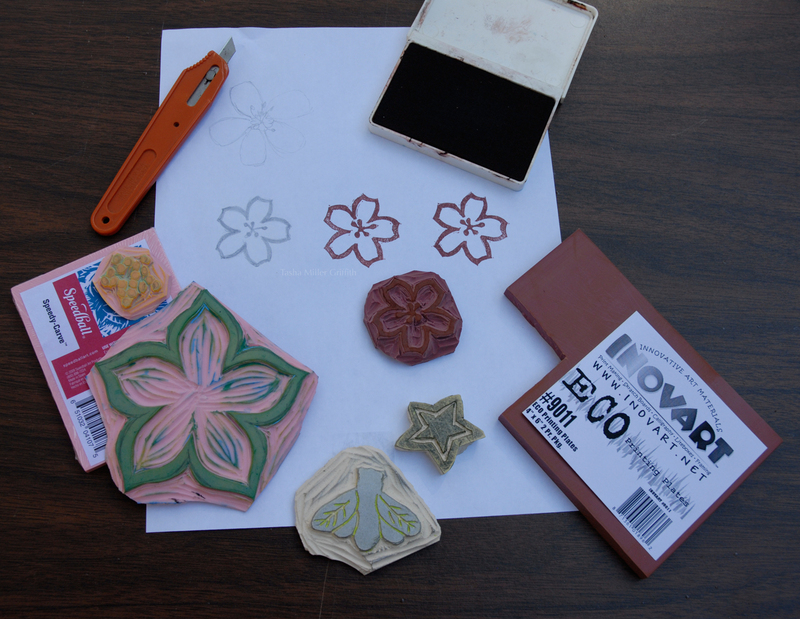 You can see this process progressing clockwise around my flower stamp above. Try out your stamp with an ink pad and paper, you’ll get to see how it’s coming out, and any areas you don’t like will be helpfully colored with ink, so you can see where to carve them off. Some little bits of messiness are part of the charm of a handmade stamp, but you can decide how much of that you want. 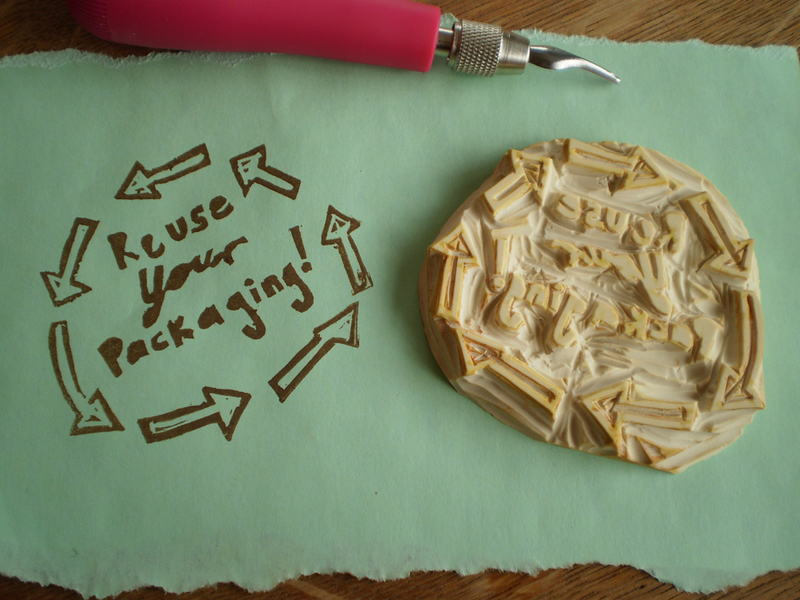 You can carve just about anything into a stamp! I made the one above while hanging out with a friend, to stamp on the re-used boxes and envelopes that I send orders in (it also appeared on KP’s blog as part of her recycle package challenge). If you’d like to jump- start your handmade stamp collection, talktothesun on Etsy sells some great-looking ones (not my shop, I just like it)! Have a question? A stamp carving tip? A material you like? Leave it in the comments, I’d love to hear what you think! Next time: use your stamps (and other stuff) to print on fabric. This entry was posted in Creativity & Art—Stretching Out and tagged clothing, diy, handmade, how to, illustration, linoleum cutter, make a stamp, rubber stamp, stamp carving. Bookmark the permalink. Ha ha yeah, I saw a similar term on another sewing blog and it seemed so apt, it just stuck in my head. My dad used to call a certain fast food chain “Booger Kink” when we were kids . . . I guess everyone makes up goofy derogatory nicknames for things! HI Tasha! I stumbled upon your blog while doing some internet research and was so excited to see the Eco Karve Printing Plate being featured in your blog. I am the creative Director for Inovart, Inc., the company that manufacturers Eco Karve. I really hope you enjoy using our product. I would really like to hear back from you via email when you have an opportunity. Thank you… so glad you’re using our product & the photo is wonderful! Look forward to hearing from you soon!